Driving off-road with your 4×4 via tracks through the bush of Botswana. Camping in the middle of the wilderness in between Africa’s wild animals. It’s all possible with a Self-Drive of Botswana. 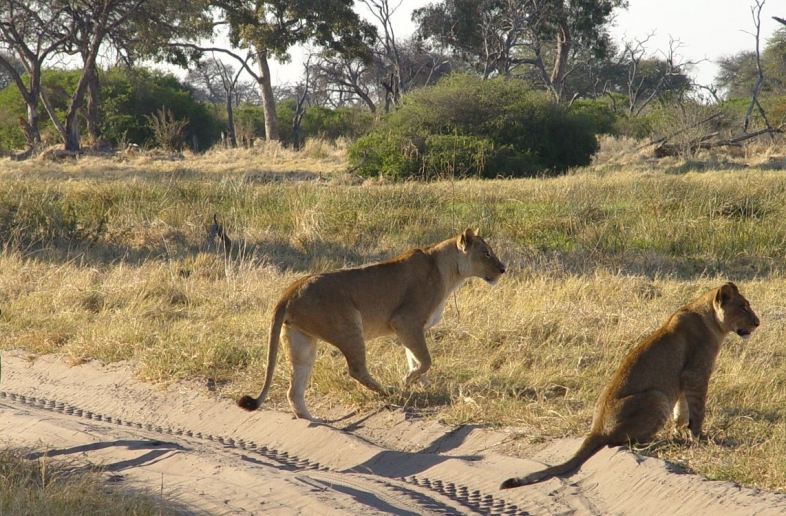 You will travel across sandy 4×4 tracks from the safari camp to other game reserves in Botswana. In some places you will have to wade through water or course through deep sand. Botswana is a country where a 4×4 feels at home. On Selfdrive4x4.com you can book various self-drive 4×4 package deals, including National Park reservations for example Chobe National Park and the Moremi Game Reserve. If you prefer vehicle rental only. We also offer various 4×4 car deals for Botswana. Self-drive journeys to Botswana can start with the car rental in Johannesburg (to which it is cheap to fly and rental prices are low) or in Botswana itself. It is popular to start and end in Kasane, at the Chobe River banks, not far from Victoria Falls (Zimbabwe) and Livingstone (Zambia). 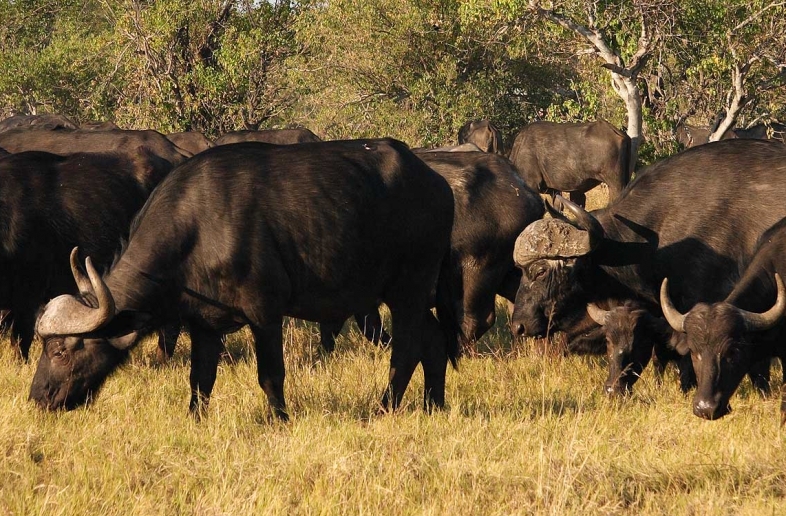 An alternative starting point for a self-drive journey is Maun, located centrally near the Okavango Delta, the Moremi Game Reserve and also the Central Kalahari Game Reserve. You can also start and end in Windhoek (Namibia) or Victoria Falls (Zimbabwe). From Maun (Botswana) you can also visit the Makgadikgadi Salt Pans. 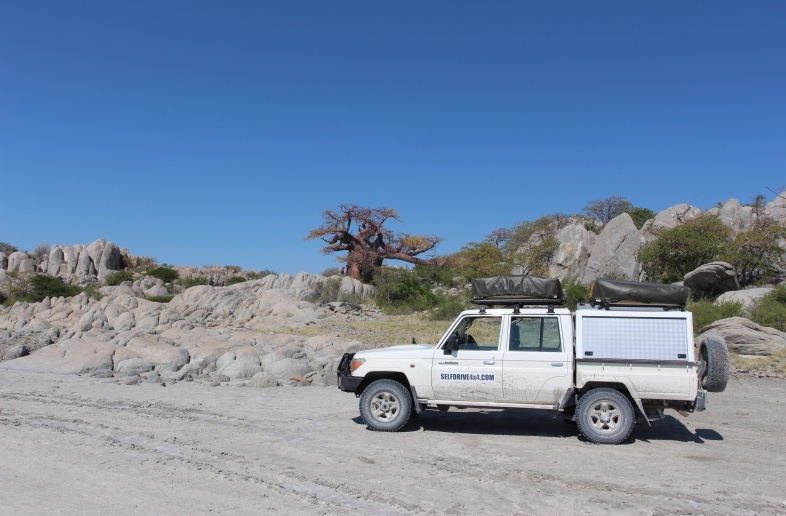 With the 4×4 you can cross the desolate Nwetwe Pan and camp on the remarkable Kubu Island. These salt pans can also be incorporated into a Botswana self drive starting (or ending) in Johannesburg. On the road to Botswana you can then also visit the Tuli Block and for example the Khama Rhino Sanctuary. Where you can see the rare white rhino. The Okavango Delta is a must do! You can visit the Delta from Maun. Either via a day trip or a multiple day tour. 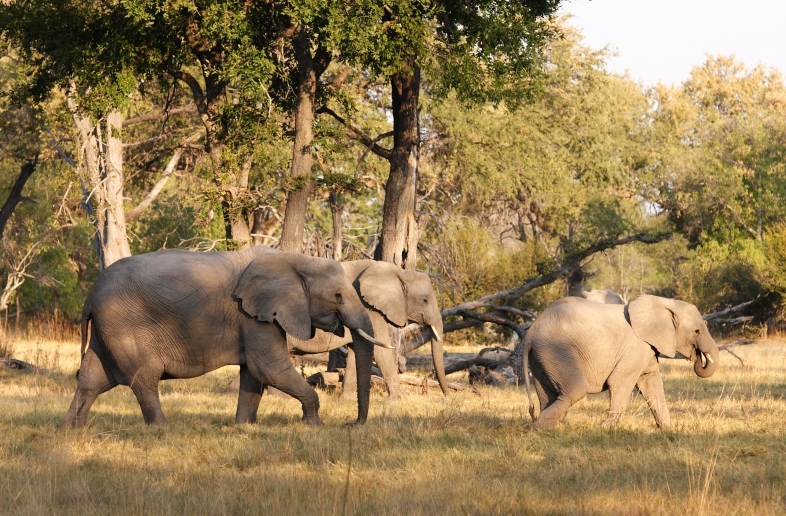 But best will be an excursion in the western part of the Moremi Game Reserve. e.g. at the Mboma Boat station or Xakanaxa. You can also visit the The Okavango Delta Pan Handle in Northwest Botswana & the Caprivi Strip (Namibia). A 19-day self drive 4×4 tour starting in Windhoek Namibia and ending at the Victoria Falls in Zimbabwe! A varied 20-day self-drive full of adventure through South Africa and Botswana. 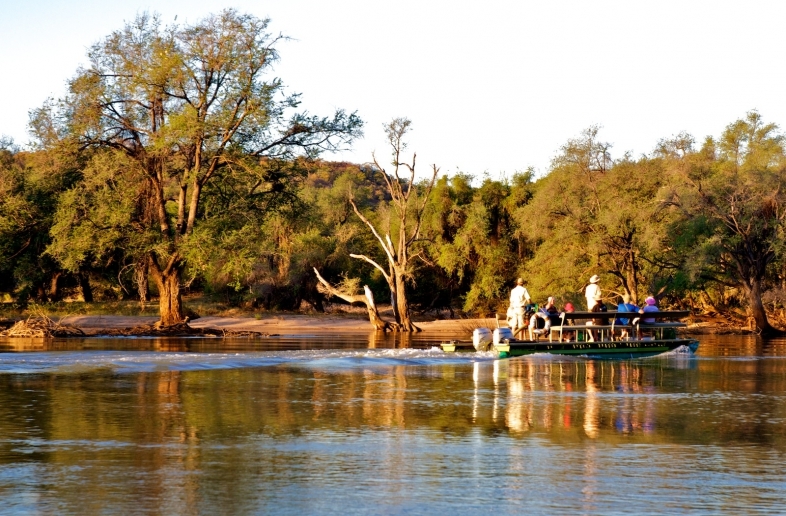 16 days 4×4 adventure from Johannesburg through Botswana to the Victoria Falls. 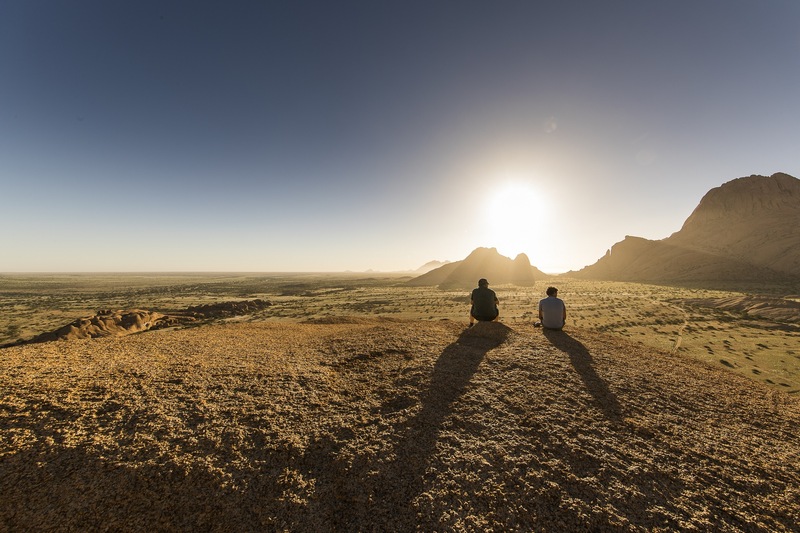 A 16-day journey from South Africa through Mapungubwe National Park, the Khama Rhino Sanctuary, and the wildlife reserves of Botswana to Livingstone in Zambia! 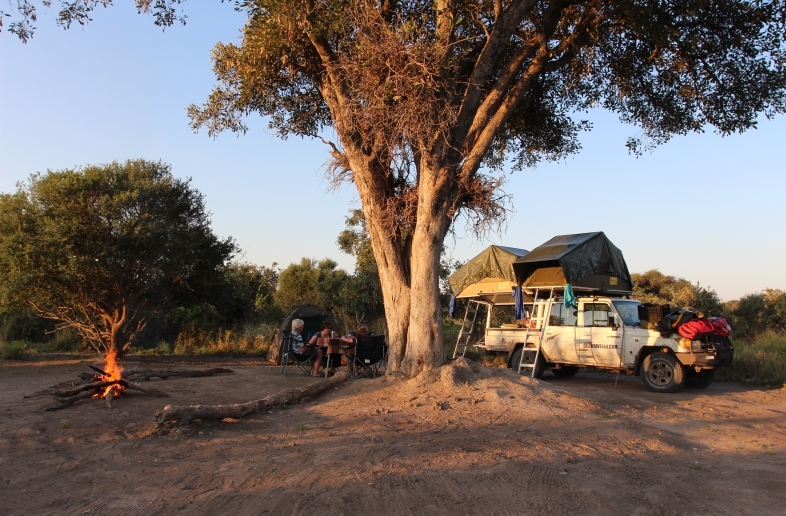 The most complete Botswana self drive 4×4 trip we offer. 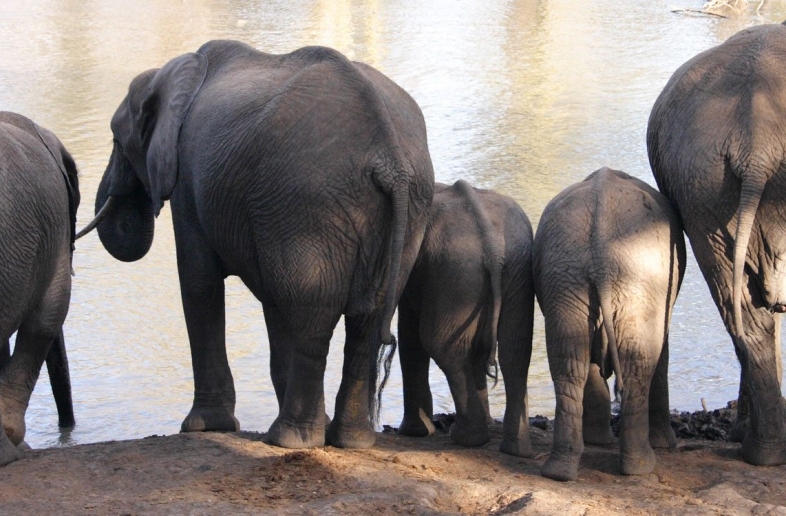 19 days safari self drive safari adventure! 16 Days of Africa adventure in a compact Botswana 4×4 self-drive safari, including the most beautiful wildlife reserves. 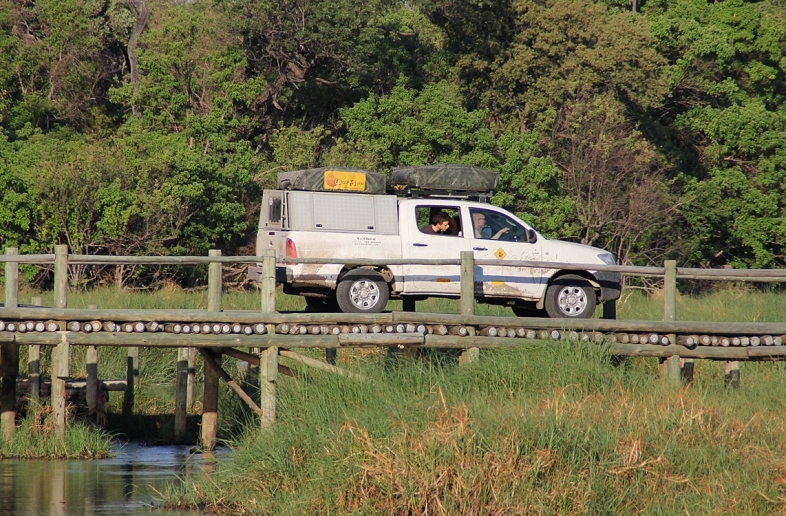 14 days Africa adventure in a compact 4×4 Botswana self drive trip. 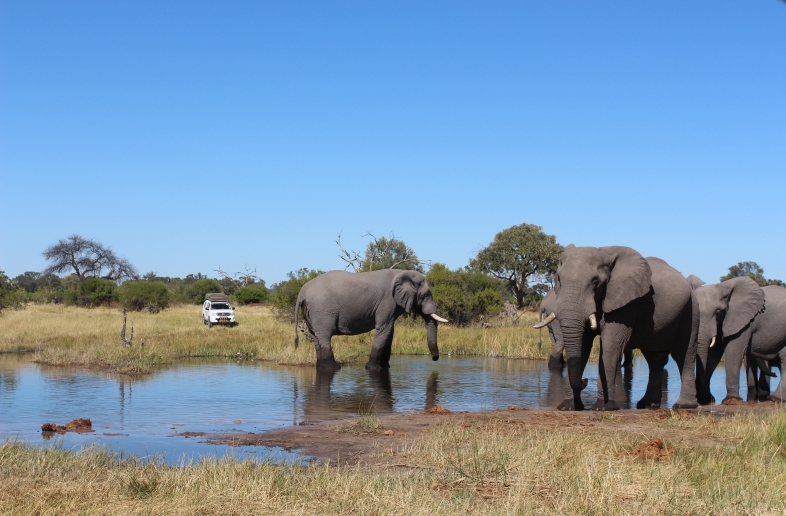 12 days Africa adventure in a compact 4×4 Botswana self drive trip. Moremi Game Reserve, Chobe National Park, Kubu Island, Botswana in a 11 day self drive 4×4 safari. A 21-day self drive 4×4 one-way starting in Windhoek Namibia and ending at the Victoria Falls in Zimbabwe.